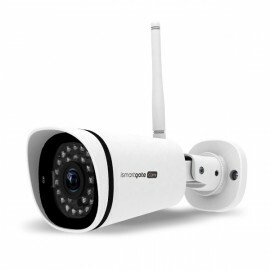 The best IP cameras for your ismartgate or Gogogate2. 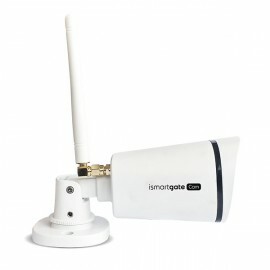 Easy to install IP camera compatible with Gogogate2. Includes 1 Megapixel resolution, wide 116º angle, two-way audio, motion detection and night vision. 1 YEAR FREE VIDEO PLUGIN INCLUDED! *1 Year free video plugin sent via email after product's purchase confirmation. Easy to install, waterproof IP camera compatible with Gogogate2. 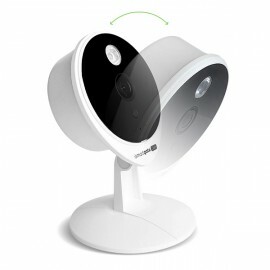 Includes HD resolution, motion detection and night vision. 1 YEAR FREE VIDEO PLUGIN INCLUDED! *1 Year free video plugin sent via email after product's purchase confirmation.